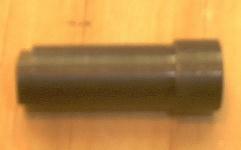 INERT Diversionary Device ALS09NR- 5 Ct. Wooden pine cabinet with metal sign, single shelf inside. Cabinet is 19 1/4" tall x 16 3/4" wide. You are getting 2,250 brand new M1 Garand 30-06 cardboards. 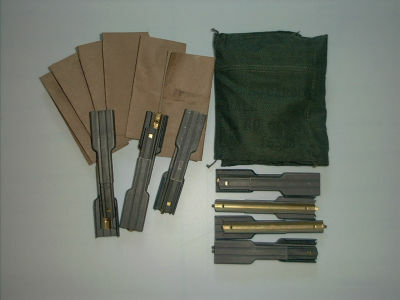 M1 Garand 30-06 Cardboards- 400 Ct.
You are getting 1 new M1 Garand blank adapter. DO NOT USE CRIMPED BLANKS IN THIS. Installation instructions included. M13 - 308 Nickle Plated Links - 100 ct.
You are getting 100 ct. M13 308 nickle plated links.